Lady Sarah has moved on to try life on her inherited estate. But something's amiss. The place is a shambles, the servants have all disappeared, and no one can tell her what's become of her steward. All her visitors -- including William, the Vicar, the Justice of the Peace, and yet another dead body -- seem inclined to make Lady Sarah question whether independence is as appealing as her solicitor. "My lady." Her solicitor made a bow that would do credit to a Duke -- if Dukes were in the habit of bowing to her. Sarah glanced at the door. One never knew who was about and listening in her aunt's household. All appeared quiet enough. She held out her hand to grasp his. "I have disastrous news." She smiled when she said the words, but it was unpleasant news nonetheless. "Then talking to your solicitor is the first step to making things right," William Burke told her gravely. But his eyes looked amused. "I hope so, although I'm not sure how anyone can right my aunt's decision." He looked inquiringly at her and waited. "She has decided my cousin should accompany me to my Surrey home when we leave tomorrow." "Indeed? That seems rather sudden." She hadn't been prepared in the least for the announcement. "You want me to take Emily?" Sarah asked, carefully, wondering if she hadn't heard correctly. "Before the Season is over?" "The girl is wasting her time and my money on a Season. Do you know what she did this morning?" Aunt Helen's face was quite red. Sarah knew better than to answer. Or, for that matter, to try to guess. "She refused Lord Royce's boy. Outright refused him!" Her aunt swept on. "I've been working all month for him to come up to scratch and she told him no, thank you, impudent as you please." "Oh, I hope she was polite to the man," Sarah murmured. Her aunt ignored her. "The only thing to do right now is send her away. I can't face the questions from all my friends. I'll simply say she was unwell and decided to accompany you to your... your home in the country, since you need companionship." Sarah had companionship. William was going to accompany her and she'd far rather have him than what would undoubtedly be a sulky young miss who barely knew her. On the other hand it would keep her aunt from asking too many questions about why she wanted to take her leave after just arriving. Sarah didn't want to even try to come up with a false reason, and the truth would never do. She was leaving after seeing her sister-in-law off to America after first threatening her with a gun. She was withdrawing to decide if she truly wanted to marry again, and, if so, to someone who was not part of the ton -- in fact, someone so far out of her world that she would be thrown out as well. Emily's refusal to marry someone who, in Sarah's opinion, was an amiable oaf seemed rather tame in comparison. As if her aunt would believe any of the truth anyway. Sarah accepted the inevitable. "I hope she can be ready quickly, since I will leave tomorrow morning, early," Sarah said. William shook his head and said, "Of course you agreed." "I'm not entirely sure I was allowed to agree or disagree. But I can't leave her behind to face her mother's wrath and all the gossip," Sarah said. "Although..." Of course she couldn't say what she wanted. But they both knew they'd planned for the journey to be just the two of them. "Although, indeed." William bent to kiss the hand that still rested on his forearm. He glanced at the open door and continued briskly. "I've received an interesting letter from your cousin-in-law, the new Earl." "Really? I thought he was considering dismissing you." Sarah tried to keep the contempt from her voice. But really, that decision was simply one of many that made her glad she no longer lived at Aventon, and didn't have to deal with the new heir. Being a widow with enough money to no longer be dependent on others had great advantages. "Oh, he has dismissed me," William said. "But he needed to tell me he was coming to town sometime this month to discuss his inheritance." "I'm sure you made everything clear when you read the will," Sarah said. "You certainly did so for me when Marcus died." "Yes, but a problem has arisen. One I should've anticipated." William frowned. "I don't know why I didn't at the time." "If you didn't anticipate it, no one would," Sarah said. "You're too generous. 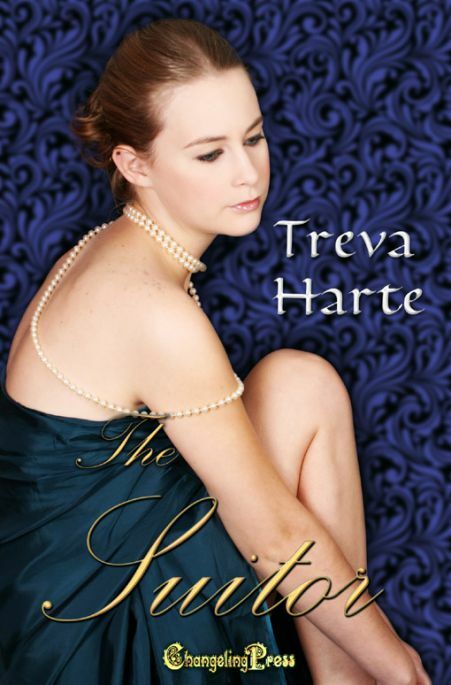 The heir needs to be sure the previous Earl's widow isn't pregnant. The last thing she told the Justice of the Peace was that she might be. And then she disappeared. Lord Northenly is making very discreet inquiries since most people had no idea your brother-in-law was even married, and I'm sure his cousin doesn't want people to wonder if he did actually gain the title." "But she wasn't pregnant. And -- oh." Sarah frowned. Because of course Sarah couldn't explain how she knew that was the case. William couldn't either. "Well, the circumstances were hardly ordinary for either of us, so I think we can be forgiven for not anticipating everything before she left with Mr. Orde. But what will happen next?" "I am pondering how best to proceed." "Oh dear." Sarah sat down abruptly. "One can hardly explain the real reas --" She cut off the sentence but they both knew fleeing the country because the widow had shot her husband was not an explanation anyone wanted to hear. Especially since the two of them had agreed with, and even aided, her flight.